Bracing for scoliosis remains a controversial practice among some doctors, while it is strongly recommended by most experts for indicated cases. Since bracing is incredibly invasive as a lifestyle modification and since universally proven benefits of bracing remain few and far between, we have decided to take an inside look at the idea of not bracing seemingly indicated curvatures and see how they might turn out differently. Bracing is the industry standard treatment for young people who demonstrate curvatures that are considered moderate to severe and are progressing or demonstrate the likelihood of progressing. This makes the span for bracing recommendations 15 degrees to 45 degrees or more and the age of onset of treatment from early childhood to virtual adulthood. Should all of these very different curvatures be managed in an identical manner? Why is bracing universal in these patients even though they range greatly in age, growth potential and degree of atypical curvature? These are some of the important questions driving this particular article topic. This essay investigates the need for scoliosis braces, as well as the possibility of not bracing a specific curvature, despite recommendations. We will examine statistics regarding brace effectiveness and explore some scenarios where the prescription to use a brace might not be a good fit. Bracing can definitely help to reduce the growth of atypical spinal curvatures in growing children who demonstrate idiopathic scoliosis. However, in order to accomplish this objective, they must be used as prescribed, which means wearing hem almost all the time for possibly years of treatment, depending on age of onset. Braces are the industry standard therapy for good reason. They can reduce the chance of a child requiring surgery in their future by slowing or even halting the progression of curvatures to keep them to a threshold below surgical recommendation or about 50 degrees. Bracing seems to work better for some scoliosis patients than for others. Doctors are still not sure the exact reason for this, as 2 patients might have similar curvature profiles, demonstrate similar compliance with treatment, and yet receive 2 completely different outcomes for brace application over similar timelines. There certainly seems to be much about scoliosis that doctors still do not understand. Many care providers feel that the progression of scoliosis might be “hardwired” into the curvature due to unknown congenital factors that still have not been identified in most idiopathic curvatures. Given present knowledge and technology, bracing offers the only proven way to possibly minimize growth of most idiopathic atypical curvatures in most patients, although exercise therapy advocates will certainly argue that point to the death. 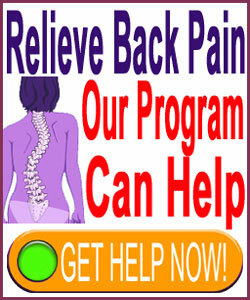 There are many verified negative consequences of back brace treatment. Principle among them is the simple fact that bracing fails to provide good results for many curvatures. This is a truth that many parents do not know when making decisions regarding their children’s treatment path. Some young people will endure years of brace use and still demonstrate continuing progression of their curvature, despite full compliance. In essence, the brace does not provide them with the expected benefit and some are still forced to face surgical correction of their curvature via spondylodesis. Doctors are still not sure why this occurs, but once again, many feel it is linked to factors that are still not understood about idiopathic scoliosis and its potential genetic link and or congenital “hardwiring”. First is the atrophy of the muscular system. Bracing prevents full range of motion and therefore has similar effects to long periods of inactivity. Muscles become weaker and despite active exercise, might atrophy in ability, size and balance. Most types of bracing limit athletic ability and will restrict pulmonary capacity. Limited breathing capacity has been linked to many problematic effects, including physical and cognitive problems. It has also been linked to metabolic disorders that might become lifelong issues. Last, but certainly not least, there are the mindbody effects of bracing on the child’s personality development, self confidence and body image. Bracing is well known to impart significant nocebo effect to children and can truly be damaging to the development of the psychoemotional self. This downside can be virtually negated when the child is properly supported emotionally or can be exacerbated when the child is made to feel inferior, damaged or fragile, by parents, care providers or peers. Bracing is never an easy decision, since it is so restrictive and contrary to a normal childhood. There are many voices arguing contrasting viewpoints in the scoliosis treatment sector and it can be incredibly confusing for parents to know which is correct and which are simply pushing monetarily-motivated personal agendas. Deciding on a child’s future is never an easy process, but when it comes to such an important therapy decisions, many parents are justifiably stressed to the max. Remember also that even if you decide that bracing is the best path for your child, it might be incredibly hard to gain their full compliance. Children can be ingenious when it comes to figuring out how to get out of wearing their brace and it is a well known statistic that 90% of braced children do not comply as recommended by their physician. In fact, at least half of braced children only wear their orthotic about 10% of the recommended time commitment, which might help to explain the vast difference in effectiveness from patient to patient. 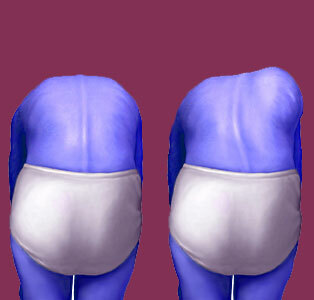 However, studies have been done that showed little correlation between brace effectuality and full compliance, with some patients wearing the brace exactly as prescribed, yet demonstrating disappointing outcomes, while other virtually scoffed at the brace, yet still did not display curvature progression to any significant degree. Obviously studies like this prove that there is still much to be learned about common idiopathic scoliosis. Until a full knowledge base is attained, parents simply have to do what they feel is right after carefully weighing all their many options.